Has he been at the Mulled wine by any chance ! Hugs Muver. OMG I think I want/need/have to have this little elf!! LOVE your card hon!! So who makes him? Fun image and layout with lots of doodled details, which I love! Nice!! He is so cute - I have some of these guys, the skating one for sure! 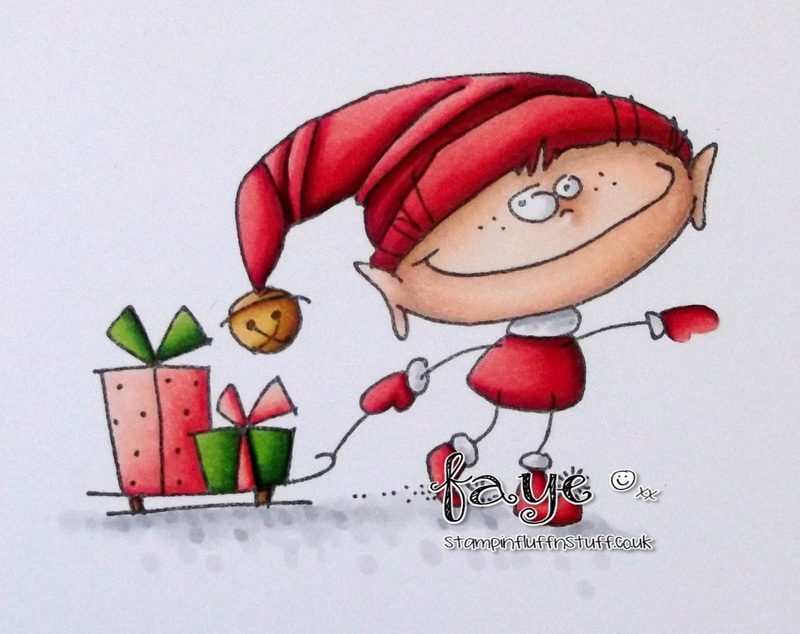 I just love this card and everything about it from the cute image, your colouring, the layout... I am going to have to go check out those images! Fabulous Faye and expertly coloured as always. The elf image is adorable! Great card and coloring! I love it Faye! An adorable image, colored so beautifully. Fun! This is so cute and your design is beautiful! I hope you had a lovely Christmas! He's a cutie - I just can't do clean and simple.